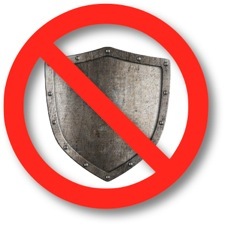 When the corporate shield… isn’t one. New York Case holds film producer liable despite corporate shield. Earlier this year, a New York Court issued a ruling against a film producer that's troubling not just for the losing defendant, but provides a cautionary tale for countless others who do business relying on their small, undercapitalized corporations and LLCs to protect them if things go awry. In Carlone v. The Lion & The Bull Films, Inc., the Southern District Court of New York “pierced the corporate veil” of the defendant company. The Plaintiff, it seems had provided a loan of $115,000 toward the budget of a motion picture, and when the production company failed to repay the loan as promised, Plaintiff sued… not just the company, but also its principal. Here's what went wrong for the man behind the company. The corporation was thinly capitalized, having only a few dollars in the bank when formed, and no other assets. It hadn't conducted any business other than the financing deal for the film, nor did it have a separate corporate headquarters, instead operating out of the producer's home. Additionally, the company hadn't conducted itself according to the usual corporate formalities, holding no formal board meetings, keeping no minutes, etc. So, the Court essentially treated the company as a sham, (as the producer's “alter ego”) and held the producer personally liable for the company's failure to pay back the loan. The takeaway from this? Merely having the company isn't enough to ensure that the corporation protects its owners from liability. Each State's law is a little bit different, but the principles behind this doctrine of “piercing the corporate veil” are well established. Corporations need to be properly capitalized, observe formalities, and to treat business with the proper solemnity. Shareholders and Directors must take pains to avoid the inference that the company is being used for personal purposes. The entertainment industry is tricky enough without troubles like those encountered by the defendant in this case. If you're operating your business as a corporation or LLC, it's wise to make sure the protection you think you have is actually there. Consulting an attorney familiar with corporate and business law will help you ensure you're doing things right. I can help. For a modest fee, I'll take a look at your corporate structure, history, and operations, and help you determine the best way to protect your company. Consider it a “checkup” for your company's legal health. 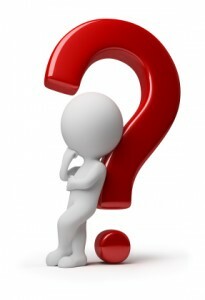 Asked & Answered: Can I protect my unauthorized sequel script? Q: Dave asks how he can protect the (unauthorized) sequel script he's been working on. In this video, I explain. Earlier this year, Congress passed, and President Obama signed into law, the JOBS Act, which among other things, legalizes both debt and equity based crowdfunding. Later this year, the SEC is required to promulgate new rules which will allow companies seeking investment capital to use portals similar to IndieGoGo and KickStarter to solicit investments from qualified people. Obviously, this represents a very exciting opportunity for startups and small businesses, who’ve previously been shut-out of the marketplace for investment funding. This is especially exciting for producers of theatre, film, television and musical entertainment product. But, even with the relaxed rules expected soon, Crowdfunding in the investment and debt financing space will be much more complicated than in its donation-oriented counterpart. The key to successful crowdfunding is, as in most ventures, preparation. By getting organized now, entrepreneurs planning to crowdfund their projects can get their ducks in a row, and be first to enter this exciting new funding arena. Here are a few things you can do now to get ready. Form your entity, and structure it properly for the capital structure you are expecting. Having your LLC, Limited Partnership, or Corporation in place, with stock or membership units ready to be issued will put you well ahead of the pack. Have a plan. A business plan is absolutely essential to the process of attracting investors. The law requires that companies present business plan, financial statements and disclosure documents to the SEC, but having a comprehensive plan is also just smart business. Just be sure the plan is flexible enough to allow you to adapt to changing market circumstances. Also, care MUST be taken that the content of the plan be complete, and absolutely truthful. Hone your pitch. First impressions are all you get in this game. Not just the business plan, but every message you put out there needs to be carefully crafted and designed to move prospective investors closer to a deal. One key advantage of crowdfunding is that you’re able to create multimedia presentations using video, audio, powerpoint, text, and in-person contact to make the deal. Be sure you use these all to your best advantage. Get your figures figured out. The law requires that, if you’re raising more than $500,000, you prepare an audited financial statement, so get this started early. Audits (even for brand new companies) aren’t fast. Also, your financial statements need to be realistic. Especially your financial projections. It’s crucial that your financial documents be accurate, complete and that they not omit or misrepresent any material facts. Get good, qualified, professional advice. The valuation process can take a very long time—so get started early. Build your network/list. Generally speaking, the most successful crowdfunding projects are those whose principals are able to raise 1/3 or more of their funding through personal networking contacts. Crowds tend to follow crowds, so having your personal network of both online and offline contacts primed and ready to go is crucial. Marketers call this “social proof”. Investors are more likely to invest in projects to which others have also committed. If you’re planning to get into crowdfunding for your next project, now is the time to get started. One terrific resource is the upcoming Crowdfunding Boot Camp being held in Las Vegas next month. (October 9th and 10th). Participants can walk away from this event with a plan in hand and the resources and connections to make it happen. There will be representatives from all of the major crowdfunding platofms, as well as law firms, accounting firms, VC firms, Angel investor groups, and professional service providers all giving out advice and free services to ensure you are prepared. And, there’ll be a pitch contest with a prize package worth over $10,000. You can save 10% off the regular admission to CrowdFunding Boot Camp, by visiting https://firemark.com/cfbootcamp and using the promotional code ELU2012 when enrolling. (We receive a small commission for every customer we refer).